The children had such a great time making this science experiment using bowls, straws, and soaps. 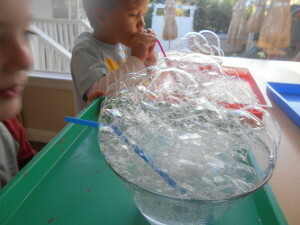 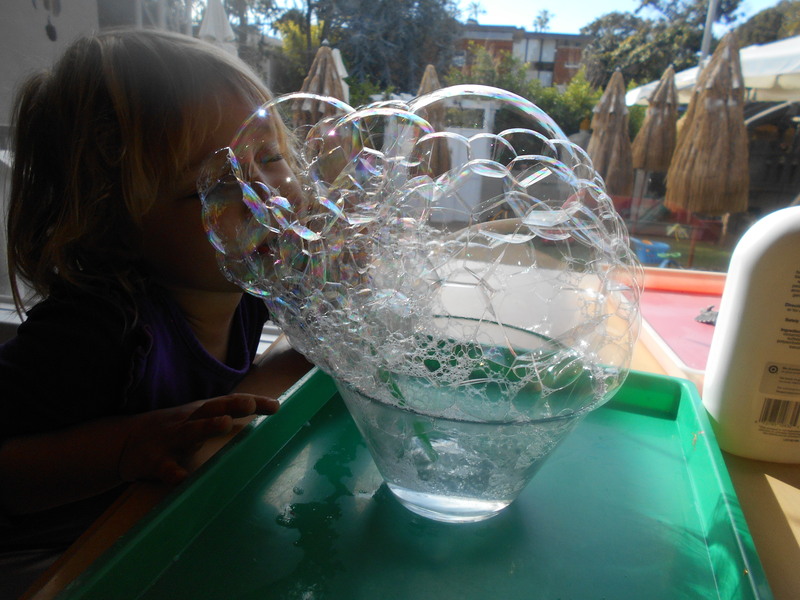 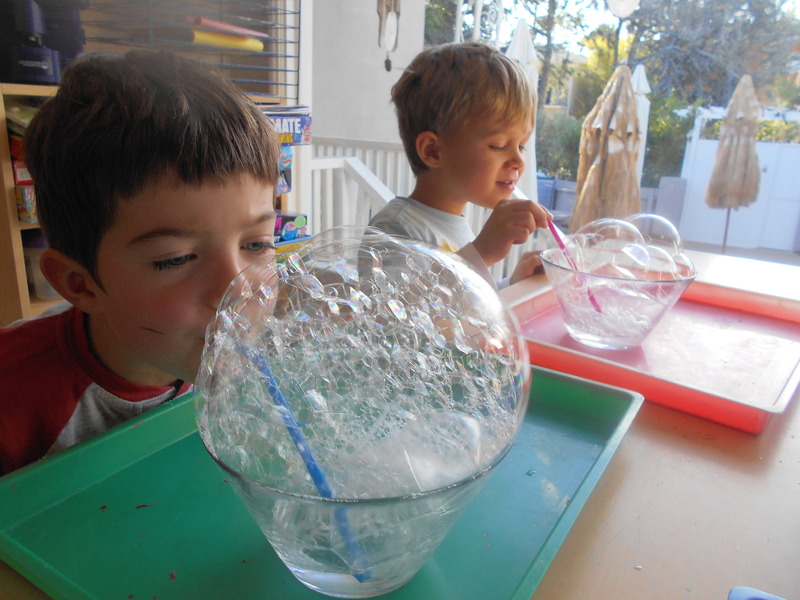 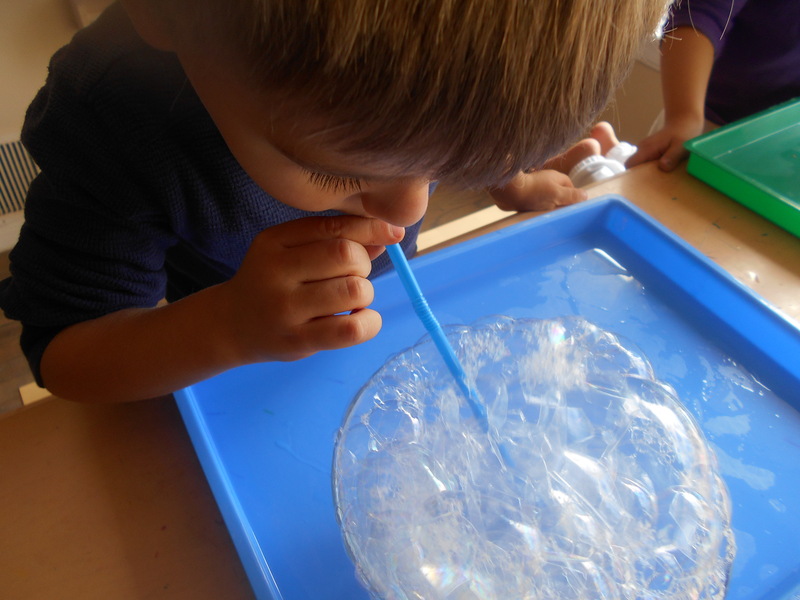 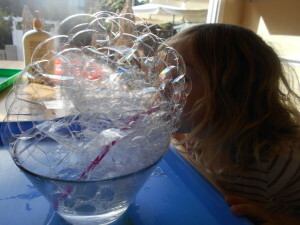 They took deep breaths to blow through the straw and were amazed by the big bubbles. They also made funny noises when blowing through the straw. 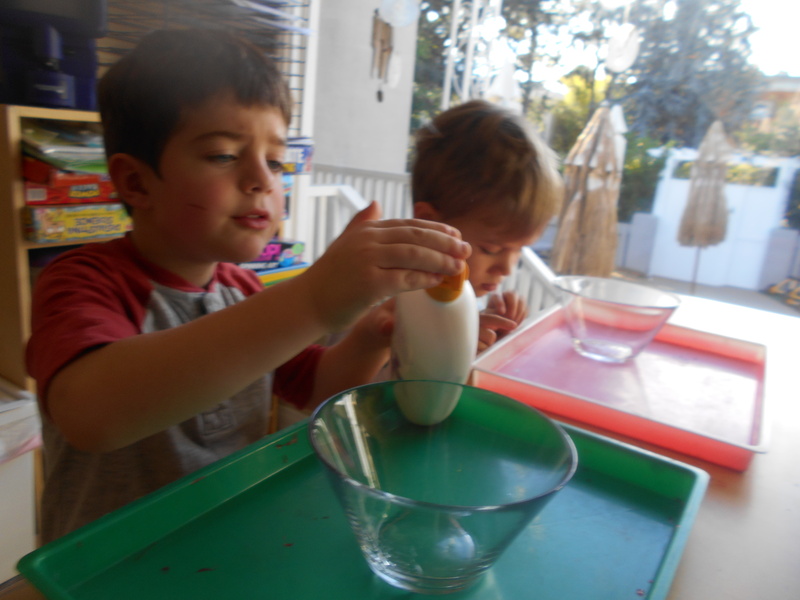 It was a fun activity!